Cape Town â€“ The Zimbabwe Electricity Supply Authority (Zesa) was owing Eskom R443m for power supply as at December 2, said Public Enterprises Minister Lynne Brown on Thursday. Brown was responding to a parliamentary question posed by the DAâ€™s Natasha Mazzone who asked if Eskom had made provision for financial guarantees from the Zimbabwean government for the money owed to Eskom. According to Brown, Zesaâ€™s current financial guarantee amounts to R500m and the money owed to Eskom therefore doesnâ€™t expose the South African power utility financially. â€œEskom is currently looking at increasing the financial guarantee to cover for future power purchases,â€ Brown said. – mechanisms that Zesa is putting in place to address the foreign currency reserves challenge of the Zimbabwean central bank to ensure its power utility meets the ongoing payment obligation. 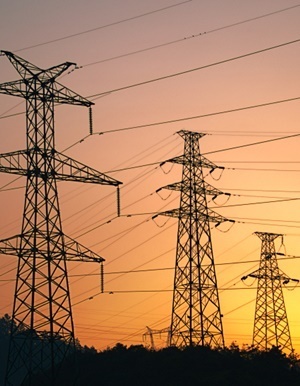 Fin24 earlier reported that Eskom confirmed that there is an arrangement among southern African power utilities to sell surplus electricity to each other. Eskomâ€™s regional development strategy involved creating the Southern African Energy Unit, through which South Africa imports electricity from Lesotho, Mozambique and Namibia, and sells electricity to Botswana, Lesotho, Mozambique, Namibia, Swaziland, Zambia and Zimbabwe.